the harmon squad: i'm always right. 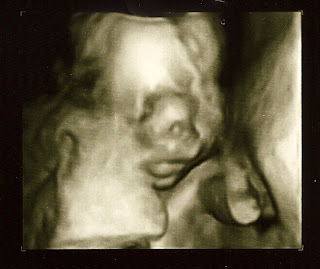 When I was pregnant with Max, I knew he was a boy. And I was right. 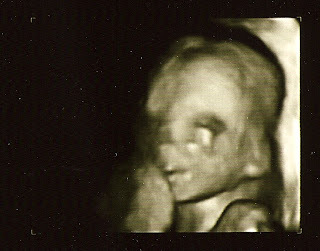 With this pregnancy, I knew it was another boy. And I'm right. Nicola Anatoly Harmon will be joining us this spring! 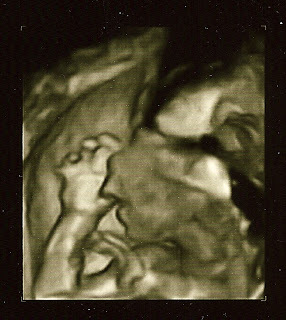 So far, everything is perfect, so I've got my fingers crossed this time he's here to stay. 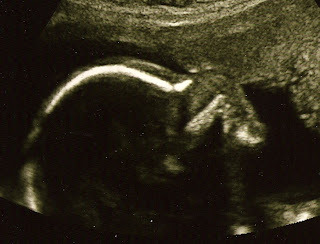 Is there any doubt in your mind that this is a boy? And he was sucking his thumb too! 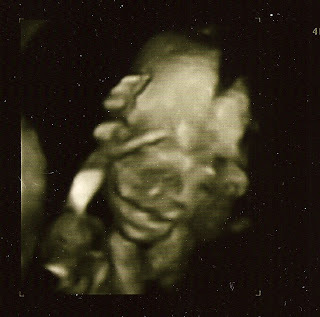 It was very exciting to see this little baby finally, and to learn that both him and me are perfectly fine. And, it feels good to know I'm right! If you're interested, I feel very strongly that the first three are boys, after that it's up in the air. Great for you and Jess - she pegged it a boy, too! We'll take whatever you give us, Jackie! Congrats and lots of love! So, this is pretty much that completely unmanly p-word known as precious, as most children are. I like the name as well. Too cute!!!! I am so so happy for you. I've also known with each one of my kids what they were. With Scarlett and Rian, we didn't even have another name picked out just in case. And with Lorelai, well, we just knew! I hope you have a very stress free pregnancy! How fun and Congrats! And isn't it always FUN to be right!!!? Yeah, Daniel and I both KNEW we were having a boy. 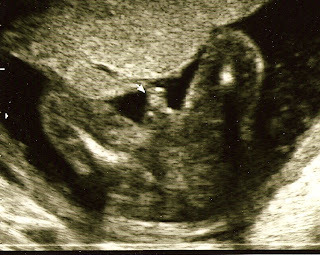 And then the ultrasound confirmed it! And then we had another ultrasound...thank goodness for double checking because otherwise Carolynn would have been a huge surprise! OH OH OH!!!! I am so excited for you guys!!! Especially Max! That boy needs a playmate! Can't wait to meet the new one!